BOSTON, May 15, 2012 — Technomad introduces several new product accessories at InfoComm 2012 to complement its advanced audio solutions range. The innovative tools give systems integrators and end users flexible new options to simplify Technomad installations in stadiums, on college campuses and across other indoor/outdoor facilities. At InfoComm (June 13-15, Las Vegas Convention Center, Booth C12033), Technomad introduces a weatherproof breakout box and Apple AirPort Express audio streaming compatibility for its range of PowerChiton amplifier modules. 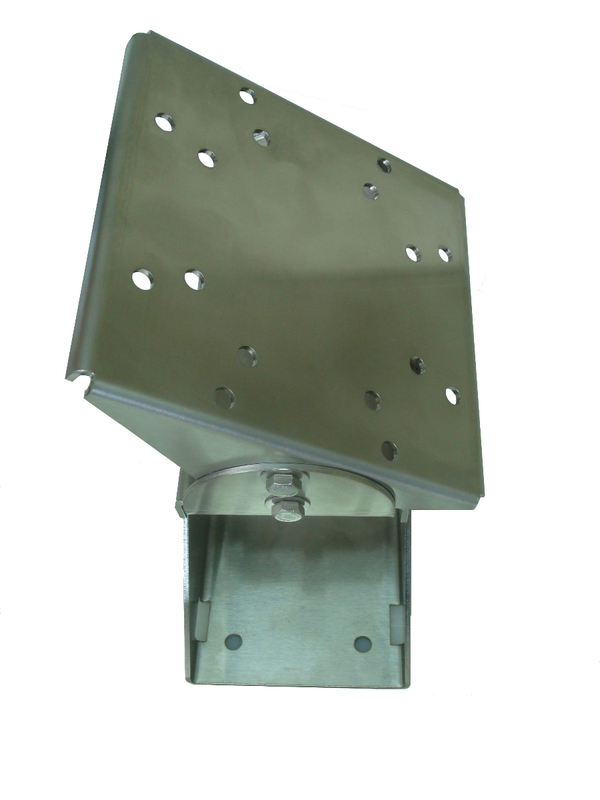 The company will also show a new stainless steel mounting solution for its high-power weatherproof loudspeaker models. “Technomad is always seeking ways to increase the range of applications for our products, and make life easier for systems integrators by innovating solutions that address installation challenges in the field,” said Rodger von Kries, vice president, Technomad. 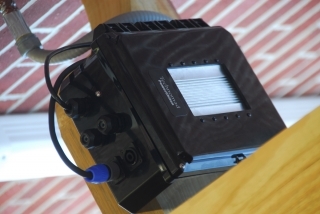 The PowerChiton range of passively-cooled, IP66-rated weatherproof outdoor amplifier modules — available in four power levels up to 1600 watts — have grown increasingly popular in outdoor audio projects where installers wish to co-locate amplification with loudspeakers, from athletic field complexes to university campus mass notification systems. The compact and low profile of PowerChiton amplifier modules — along with the rugged, weatherproof design — enables sound contractors to easily install the modules on light poles and other surfaces at any height. Technomad now introduces a specialized PowerChiton breakout box that enables local audio control at user-friendly locations in the same NEMA-style protective enclosure. Contractors can install the breakout box at eye level, for example, allowing end users to adjust volume and connect a handheld microphone or an iPod on the fly. The PowerChiton breakout box, which begins shipping July 1, includes mic and line level inputs, a four-channel mixer, an accessory cord and mounting hardware. The breakout box also enables remote installations, such as athletic fields without a press box or other protected location, to benefit from permanently-installed, PowerChiton-based PA systems. A coach or announcer can walk up to the breakout box, open it and be speaking through the PA or playing music within seconds. Technomad also now supports AirPlay capability from PowerChiton for Apple AirPort Express users. This allows commercial and residential customers to wirelessly stream iTunes audio files and playlists to an AirPort Express unit within a PowerChiton amplifier or breakout box. Users require only the hardware and a basic network or Wi-Fi connection to wirelessly stream audio from a computer or playout device to the PowerChiton — reducing costs and infrastructure associated with traditional wiring and cabling. Technomad is now shipping a new stainless steel wall mount for its AS Series of weatherproof, advanced audio loudspeakers. The AS Series consists of the largest and most powerful Technomad loudspeakers, including the Noho and all Berlin models (broad and narrow-dispersion). Unlike older styles, the new Technomad wall mount accessory allows installers to position any AS Series loudspeaker vertically or horizontally. The stainless steel design prevents weather-related erosion over time, and pole-mount adaption simplifies lighting and telephone pole installations. Technomad will also show a range of existing advanced audio solutions, including its ultra-lightweight DragonFly remote audio system; and its Schedulon audio playback and recording system.